Creating settings – it’s all in the detail! In under two weeks – goodness! – my sixth novel, Breakfast under a Cornish Sun is launched. I can’t wait to share Kate Golightly’s story. The book was huge fun to write, partly because I adored the rugged yet picturesque setting. Cornwall seems to be a favourite location amongst writers – as do Paris and Greece. Yes, hands up, they’ve inspired me too – see From Paris with Love and my summer 2015 bestseller Game of Scones. It is always a challenge to set a book in a location not familiar, in terms of everyday life. In fact one of my books (firmly unpublished and kept under the proverbial literary bed!) was set in Ancient Egypt. Some settings are so inspiring that they alone are the motivation to write an entire book. This happened with my novella, How to get Hitched in Ten Days. I’d visited an amazing fifties diner and instantly knew I just had to base a story in one. So what have I learned from the process of creating different settings, over the years? Well, I’m no expert but here are my top tips. Firstly, it’s all in the detail. Take my undiscovered masterpiece (!) set in Ancient Egypt. I tracked down an egyptologist on line and they agreed to answer all my questions for £1 a pop. I was determined to make my book as authentic as possible. And I take the same attitude towards setting my stories in modern countries – even though I have visited Cornwall, Paris and Greece. A sure-fire way to guarantee authenticity and detail is to focus on the five senses. Take your readers on a complete, sensual journey. Sight – don’t forget the small things. Like sand stuck to the bottom of shoes after a day out. A passing gull with a chip hanging from its mouth. The width of the kohl around the eyes of a pharoah. The different colours shooting across the sky during a sunset. Sound – listen to a Youtube video filmed in the setting of your choice. The car horns in Paris. The donkey’s bray or chirping cigales in a Greek village. The fishing boat’s horn at a seaside resort. The sound of cheesy music from a passing ice cream van. Smell – the stink of fish and seaweed as you walk through a harbour such as the one pictured above. The car fumes in Paris or wafting pastry smells from bakeries. Crocodile dung in Ancient Egypt! Close your eyes and imagine you are walking in your characters’ shadows. Think smoke from barbecues in the summer or aroma of hot red cinnamon wine if it’s cold. Taste – oh yes, go to town with the food! The different textures and levels of spiciness or sweetness. All those details will really get the reader involved. How the food feels on the tongue. Is the aftertaste mild or bold? Touch – wet sand squelching between toes. Scratchy beach grasses brushing against legs. Weather-beaten fishing boats. Scaly, slippery fish. Cobbled pavements under the feet. The sleek, smooth glass of glitzy buildings. The breeze through your hair by the coast or at the top of a landmark. Secondly, also describe all the smaller aspects of the larger, more imposing parts of your setting. To do this I study Youtube videos and do lots of research online. Draw a map if that helps. I did this for Taxos, the Greek village in Game of Scones, and also for the stately mansion in Doubting Abbey. This will make it more real for you and, as a consequence, more real for your readers. Reading tourists’ reviews on TripAdvisor is also immensely helpful. I did this for my Greek book as I couldn’t exactly remember the details of Kos centre and I came across some vivid descriptions of various fountains and buildings – how safe or crowded or well maintained they were and what you could see from each angle. Also read local tourist guides and try to get a sense of the atmosphere surrounding big landmarks, to make the experience more personal. “I gazed back down at the City of Light. When we’d first arrived, I’d just about been able to make out the details of roofs, chimneys and aerials. Now, however,everywhere was liquorice black, as if the starry sky had fallen to earth, just like that children’s story where Brer Rabbit thinks the moon has dropped into a pond. Lights twinkled and towards the right stood the sparkly Eiffel Tower. Thirdly, cut out relevant photographs and stick them above your desk, to really “get in the zone”. I did this with From Paris with Love as inspiration for the restaurant where a lot of the plot was based. I also posted up a copy of the Parisian underground. Don’t be lazy. Readers are educated people and won’t believe in the story if they spot an obvious mistake. Find the right Metro station to get off at the Eiffel Tower. Work out the exact time it will take a taxi to travel from the airport to your little Greek village. Fourthly if you can, visit places in real life similar to your setting, if you haven’t actually been to the location. 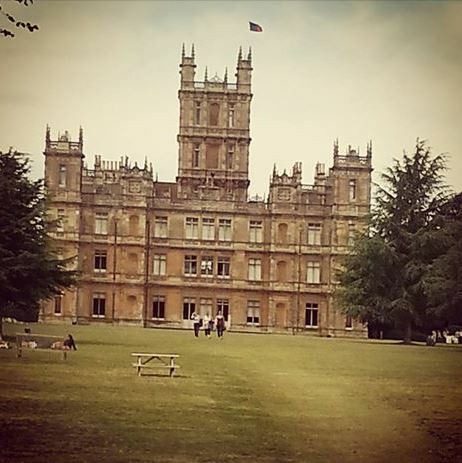 Doubting Abbey was inspired by the series Downton Abbey, and well after the book was published I managed a trip to Highclere Castle (see below). But the stately home in my story is quite different, and to get a taste of aristocratic life whilst doing the ground research, I visited Lyme Hall near me and took a tour of the house, writing notes on everything from the artefacts to door frames and just imagining how it must feel to live in such grandiose surroundings. Finally… remember, a glamorous or particularly appealing or distinctive setting isn’t everything. For some novels the plot and characters carry the story and the setting, whilst important, isn’t such an crucial element. In Breakfast under a Cornish Sun it is significant because Kate Golightly heads off to that coast to find her very own Poldark (the fictional hero of a well-know Cornish book and TV series). Yet in my current work-in-progress (still under wraps, so I can’t give much away!) the setting is kind of incidental as the plot is about more of an emotional than physical journey for the characters. 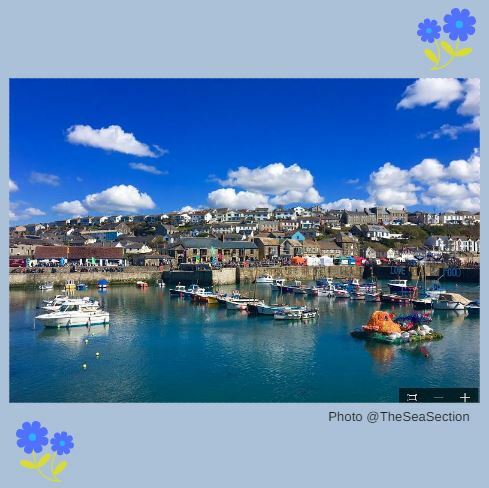 This entry was tagged amwriting, beach, Breakfast under a Cornish Sun, Cornwall, Doubting Abbey, Downton Abbey, fishing, Game of Scones, greece, harbour, Highclere Castle, island, Paris, Poldark, Sacre Coeur, seaside, setting, writing tips. ← Cass Green’s Five Top Tips for Writing Thrillers! So agree with this: I always visit the area of London I’m going to write about ..there are still loads of Victorian buildings. And yes, a focus on the tiny things – the sort a character would notice, is so much better than ‘I did my research and I’m going to share it in every detail with you’. Good luck for 6th novel! Couple of things I never thought of there, using Youtube, what a great idea. It’s a good reminder to make sure we use all our senses not just sight. I loved the idea of making a small video to catch the sounds of the day. Thanks for a great post.